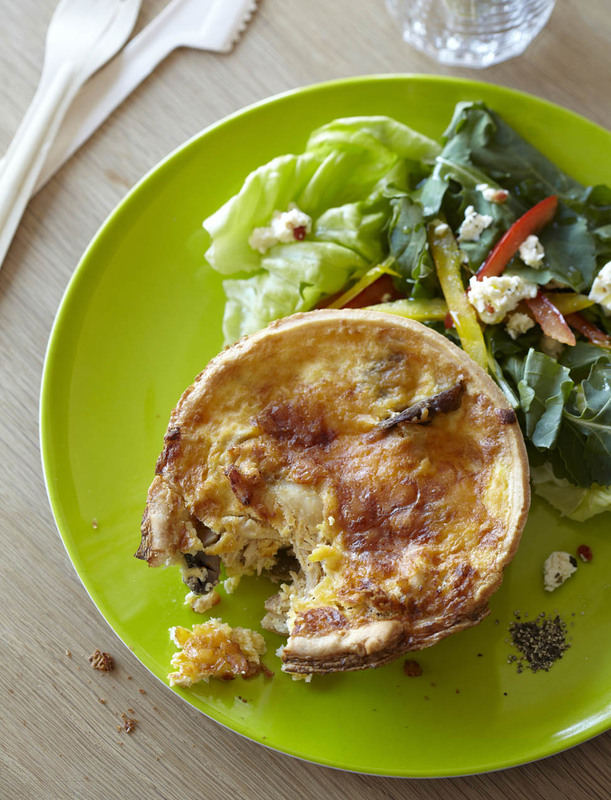 There's nothing better than a delicious homemade quiche and this one couldn't be simpler. 2. Roll out the puff pastry to the size of the dish and press into the dish and along the sides. Refrigerate for 10 minutes. You can either make one large quiche or cut your pastry into smaller rounds and divide the filling to make mini quiches. 3. In a pan, sauté the chicken until golden and cooked through. 4. Remove the chicken from the pan and add the chopped onion. Fry until soft, then add the mushrooms. Sauté gently for five minutes. 5. Mix together the eggs, milk, yoghurt, parsley and season. 6. Spoon the onions, mushrooms and chicken into the pastry base, sprinkle with cheese and then slowly add the egg mixture. 7. Bake for 20-25 minutes until the quiche is golden brown and slightly firm to the touch.